Novak Djokovic confirmed that his friend, Mario Ancic, would be a new part of his coaching team, along with Andre Agassi, at Wimbledon next week. Djokovic, who today won the title in Eastbourne, now heads for the grand slam in good heart as he seeks a fourth title there, where he will enjoy having Ancic in his coaching corner. "Mario's my very good friend," said Djokovic. "Once he was number seven in the world and he beat (Roger) Federer at Wimbledon. He was very talented but was very unfortunate with injuries and illnesses that ended his career early. Mario Ancic has retire from professional tennis and today he will give a press conference in his hometown of Split, Croatia, to make the official announcement. Ancic, who was as high as number 7 in the ATP Tour rankings, has battled illness, shoulder problems, and a back injury that forced him to take this decision. “It would not be me out there anymore. I knew I would never be 100 per cent fit again, and there was no real answer to it. It would have required a pretty serious operation even for me to have a chance to recover and I would never have been guaranteed a full motion again. 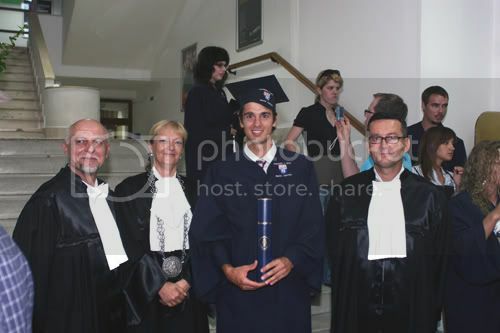 On April 2008 he earned a law degree from the University of Split. His thesis was entitled "ATP Yesterday, Today and Tomorrow," describing the ATP's legal foundation and organization. Rumors says that he is now working in a law firm. Ivo Karlovic and Mario Ancic announced that they are pulling out of the 2010 U.S. Open because of injuries. Karlovic had surgery on his left Achilles’ tendon and hasn’t played since the Madrid Masters in May. Ancic, currently ranked 469th, has a back injury and will be skipping a seventh straight major championship. Dustin Brown and Tobias Kamke move into the main draw. In season 2, episode 22, ATP World Tour Uncovered profiles Croatian Mario Ancic, who makes his comeback after dealing with numerous health-related setbacks over the past few years. Rafael Nadal defeated Mario Ancic 6-2, 6-2, in the third round of the BNP Paribas Open in Indian wells. Nadal lost just one first-serve point and never faced a break point in beating Ancic for the fourth time in five meetings. The Spaniard kept the rallies brief, with many not lasting more than five strokes. Nadal wore a pair of brown-and-white shorts with a lattice-type pattern and a white shirt with pink highlights. "I played at a very good level and it was a comfortable victory," said Nadal. "I started the match playing well. Later, when I played in favor of the wind, it was very difficult for me with the backhand because I felt it if I only touch the ball, the ball was out, went too much. But it was a good start, with the conditions. I'm very happy." In the next round Rafael Nadal will play against John Isner, who beat Sam Querrey. David Nalbandian and Mario Ancic have withdrawn from the U.S. Open. 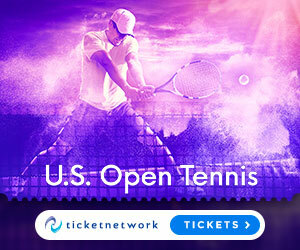 Ivan Navarro and Karol Beck will replace Nalbandian and Ancic in the main draw of the Grand Slam tournament that runs from Aug. 31 to Sept. 13. Mario Ancic has confirmed he has withdrawn from Wimbledon and the Davis Cup tie against USA due to illness. Ancic has still not regained full fitness having been struck down with mononucleosis two years ago and has now opted to take a break from the game. Ancic, who wasn't able to play at the French Open, will now also miss Wimbledon and admits he is unsure when he will return to action. "Don't ask me when I'll return, because I don't even know the answer myself. Health is most important. I have to listen to my body. The fact that I cancelled my favourite tournament (Wimbledon) and an important match with Americans, tells it all about the seriousness of the situation.". 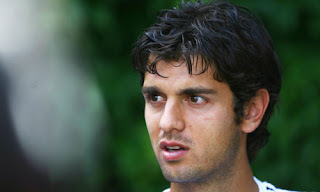 said Mario Ancic. 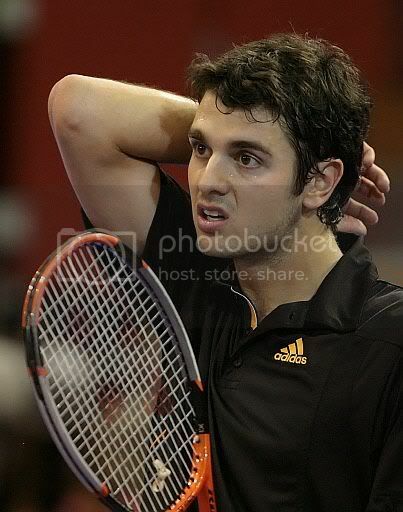 Mario Ancic won't be able to play at the French Open this year because of lack of fitness he announced today. Ancic, the world number 38, has missed 16 of the past 28 months with mononucleosis and a shoulder problem and was beaten in the first round of the ATP event in Kitzbuhel after making it past the qualifing rounds. "I'm still not completely ready. My physical performances are still not at a good enough level, at least not for Roland Garros, where matches can stretch to five sets." Mario Ancic said. 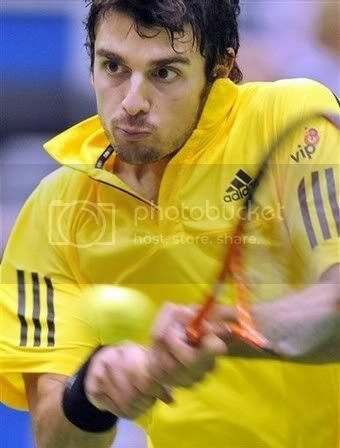 Mario Ancic will speak at Harvard Law School on Thursday confirmed his agent at IMG, Olivier van Lindonk. Ancic, a former top-ten ranked player, received his law degree last April from the University of Split in his home country of Croatia. Ancic is currently ranked #29 in the world, and has come back from a serious bout with mono that kept him out play for the majority of 2007. At Harvard, Ancic will talk to the students about his experiences in law school, the legal side of the ATP Tour, his personal endoresement contracts, and general business in the world of tennis. Andy Murray defeated Mario Ancic 6-1 6-2 in the semifinal of the ABN Amro tournament in Rotterdam. Now the Scott is waiting for the winner of the match between Rafael Nadal and Gael Monfils to find out who he is going to play in the final. Despite nursing a minor injury to his right foot, Murray beat Ancic. who is a two-time ABN Amro champion, in just over an hour. 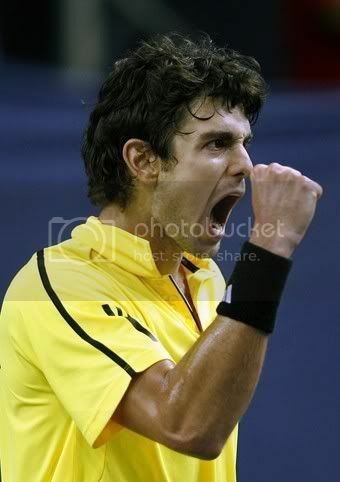 He broke the Croat’s serve in the second game of the first set and first game of the second. “It felt uncomfortable 20 minutes after yesterday’s quarter-final. I hope it will not be a problem for the final. It didn’t bother me today as I played really well. 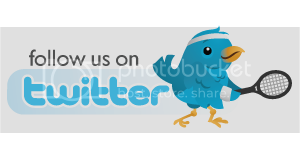 The physiotherapist examined my ankle but could not find any damage." Murray said. 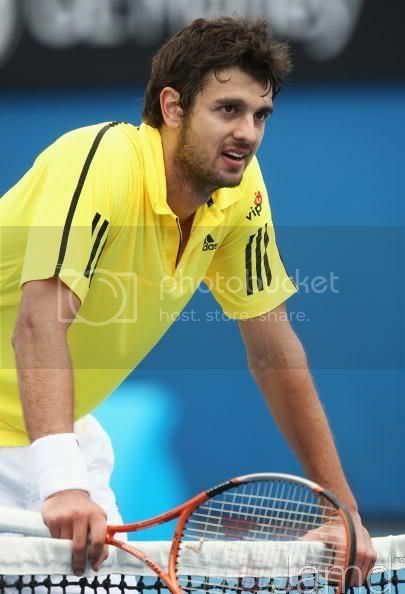 “I hope I end up facing Rafael Nadal in the final. Our matches are usually guaranteed to be a spectacle.” Murray said. Mario Ancic continued his good run of form by reaching the semi-finals at the ABN AMRO World Tennis Tournament in Rotterdam after defeating Mikhail Youzhny 6-4, 6-2. Ancic broke once in the seventh game of the first set to assume a one-set lead and two breaks in the first and fifth games of the second set sufficed for him to claim victory after one hour and 40 minutes. The right-hander served nine aces and saved all seven break points he faced in the pair’s second encounter. In the semifinals he will meet Andy Murray who defeated Marc Gicquel whne Marc was forced to retired at 7-6(2), 4-6, 3-0. Marin Cilic defeated Mario Ancic 6-3 6-4 to claim his second title of 2009 at the PBZ Zagreb Indoors. "I achieved my dream. I'm glad I kept my maximum performance in the finals, which will boost my confidence next time I reach the finals." Cilic said. During the first set Marin Cilic needed to save 7 break poinst to be able to take a 5-1 lead before Ancic finally secured a break of serve to stay alive. Cilic, though, served it out in the ninth game, then broke serve to start the second set. Ancic broke back soon after and opened a 4-3 lead, but Cilic captured the final three games to finish the match in just over 90 minutes. It was the 11th career final for Ancic, who fell to 3-8 in title matches and hasn't won an ATP crown since 2006 in St. Petersburg. Ancic converted only two of his 12 break points in the match, while Cilic was four of six. Mario Ancic beat Jan Hernych 6-7 6-3 7-6 after saving 3 match points to reach the final at the PBZ Zagreb Indoors where he will face his countryman, Marin Cilic. “I think that’s just fantastic,” Ancic said about this being the first final between Croats in Zagreb. Ancic needed more than three hours to defeat Hernych, who served for the match at 5-3 in the third set, but Ancic broke and they went to a tiebreaker. Hernych had match points at 6-4 and 7-6, but Ancic saved them all, finally converting his third match point at 10-9. Cilic had an easier time against Troicki, winning 6-2 7-5 and he is yet to drop a set in the tournament. “When I won the fifth game of the first set and made a break, everything turned fine,” Cilic said. Marin Cilic beat Antonio Veic 6-2 7-6 while Mario Ancic defeated Ivan Dodig 6-1 6-3. Both Croats reached the semifinals at the Zagreb Indoors, keeping alive the possibility of a homegrown final. Viktor Troicki defeated Sergiy Stakhovsky, defending champion, 6-3 6-2 and Jan Hernych advanced when Mischa Zverev was forced to retire due to breathing problems during their first set. Ancic will play Hernych, while Cilic takes on Troicki in the semifinals.